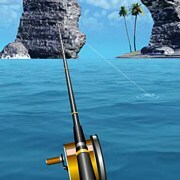 Description: Explore the open ocean in this fun sea fishing sim game. 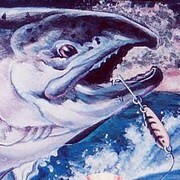 Around these islands the big ones come out to play as long as you are using the right lures. 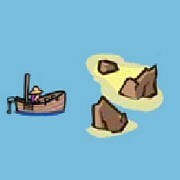 You can fish in 8 different spots. 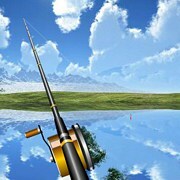 Fish for 5 popular sport fish including trout, Sea Bass, Shark, Tuna and Yellow Tail. 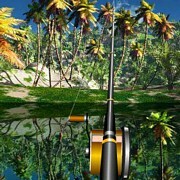 The lush realistic blue waters are unforgettable and one of the big catches of this game. 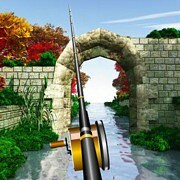 You are not timed so just relax this is going to be a fun trip if you just feel like catching and relaxing! 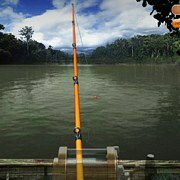 Instruction: The more you catch the higher your score will be! 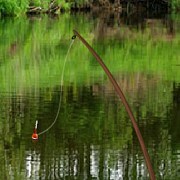 When you hook up be sure to watch your guage. 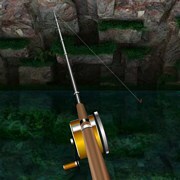 Do not let it hit the red or your line will snap! 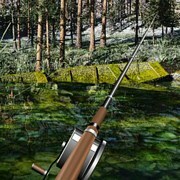 Game Controls: Use your mouse to select items and go fishing!